In today’s world, temptations exist that may entice young people into making poor choices. When a juvenile is charged with a crime, such as drug possession or underage drinking, his or her future may be at stake. An experienced juvenile law attorney like Damon C. Hopkins can help to eliminate or lessen the impact these charges will have on his or her life. In Pennsylvania, we have a separate court system for our juveniles who are accused of criminal violations. There are significant differences in procedure and philosophy in the juvenile system as opposed to the adult criminal system. For example, the juvenile system is more geared toward correcting the child’s behavior so that they do not come back into the system again, whereas the adult system is more geared toward punishment. One other significant difference is that in the adult system you get a sentence where you know how long you must serve before you are free, such as 6-12 months in jail and then you are released. In the juvenile system, the courts can keep you under their supervision up until your 21st birthday. That’s right, even though the child will become an adult at age 18, the court can keep them in the juvenile system until their 21st birthday. Most juvenile offenders can be dealt with by receiving some form of probation, from informal to formal. However, if that does not work, or if the offense is too severe to begin with, the child may be placed in a shelter, a boot camp, a Residential Treatment Facility for mental health concerns (RTF), or in a juvenile jail called a detention center. How long the child will remain in any one of these types of facilities is uncertain, as it usually depends on how well they do in adjusting those behaviors that the Court has identified as a problem. Will the Record be Sealed? A major misconception about juvenile charges is that they are “sealed” once you turn 18. That is not true for any Felony offense. A felony offense remains on your record after your 18th birthday unless you successfully go through a process of having it removed. Which means a youthful indiscretion that leads to a juvenile adjudication of criminal trespass when you were 15, very well may prevent you from getting that great job when you are 25 or 30 because your employer did a state police record check. You should be very careful about any juvenile criminal charges; they have serious consequences, both presently, and for your future. You need an experienced juvenile criminal defense attorney who practices in juvenile criminal court. Most criminal attorneys do not routinely handle juvenile criminal matters. 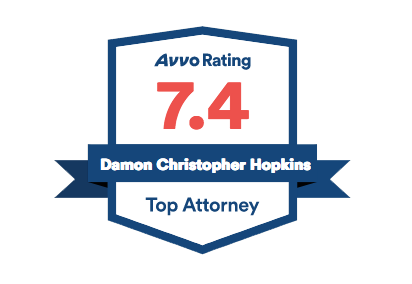 Attorney Hopkins not only handles these cases all the time as a defense attorney, but he also used to be the prosecutor assigned to the juvenile division of the District Attorney’s Office. Call our office immediately for your free consultation on your juvenile charges. At our firm, we understand that good people sometimes make bad choices. Schedule an appointment today.